the alt.Honors Project wants you! 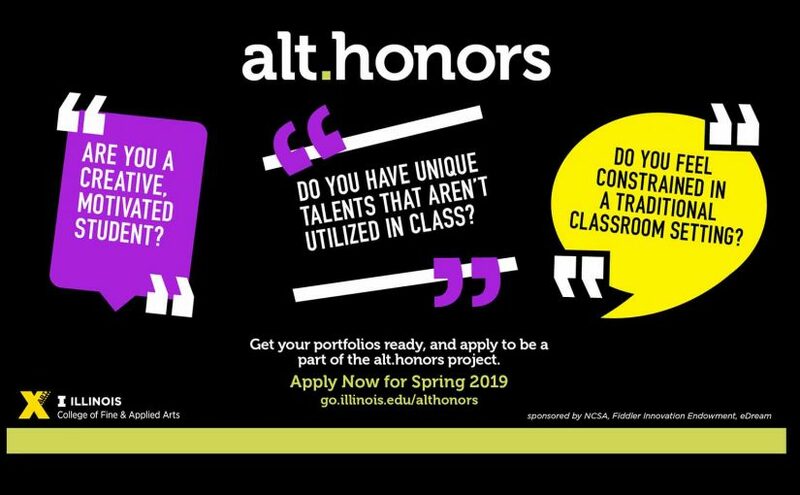 This new “Alternative Honors” project is designed to “honor” and encourage students who are super-creative, but may not be getting great grades, or are creative in ways that are not part of their major so they can’t be expressed. This project will be fun and rewarding, and entry into it is via your creative work: not your GPA.